Blog | Dr. Marcy Schwartzman, inc.
AS MANY PARENTS KNOW when your child comes home from school, they often run straight for the kitchen. We understand that kids can be a bit hungry after a long day in the classroom, we want to help you provide some ideas for snacks that won’t only fill their bellies when they go back to school in September, but will benefit their smile as well! SEEING A BABY’S FIRST SMILE is a wonderful moment in a new parent’s life – that little grin leaves a lasting impression! Visiting the dentist early ensures that your child’s smile remains happy and healthy. The British Columbia Dental Association recommends that children have their first dental appointment by age one or within 6 months of their first tooth appearing. Although this may seem early for a first visit, there are many reasons for acquainting your child with a dentist so early in their oral development. AS MANY OF YOU KNOW, we are proud participants of the 2017 Smiles For Life campaign. 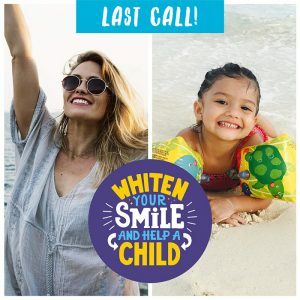 Since March we’ve been professionally whitening people’s smiles and donating 100 percent of the proceeds to the Smiles For Life Foundation to benefit seriously ill, disabled, and underprivileged kids—both locally and around the world. You—our valued patients and friends—have been crucial to our efforts and we still need you! 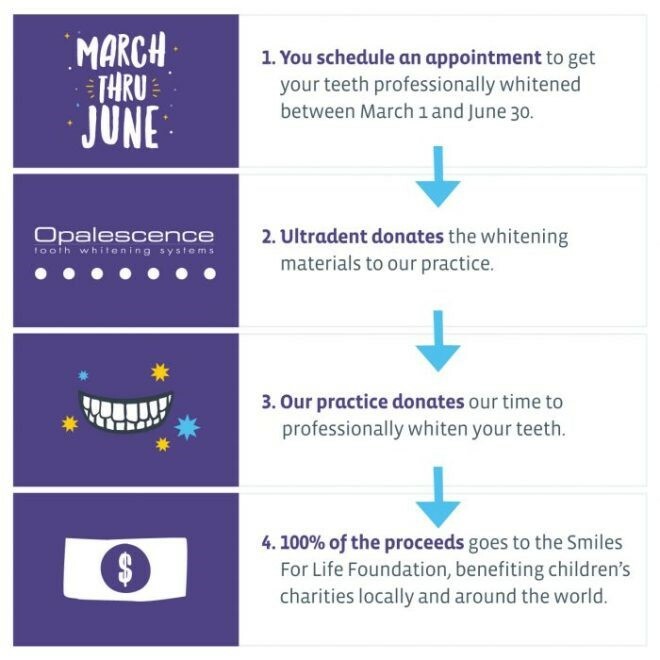 Here at Dr. Schwartzman, Dr. Tabata, and Dr. Durward’s office, we have a goal of raising $10,000 for charity in our 2017 Smiles for Life campaign – and we’re nearly there! Ever Wonder How Tooth Whitening Works? Until June 30, 2017 we are partnering with the Smiles for Life foundation to give you a great deal on custom made whitening trays, and all of the proceeds go directly to benefiting children’s charities. Read on to learn more about tooth whitening! You can remove some of the surface stains on your teeth by using a whitening toothpaste. These kinds of toothpastes usually contain special abrasives that gently polish the teeth as well certain chemicals that can help break down stains. These toothpastes can be tough on tooth enamel, so make sure to always read labels when using them–some should only be used temporarily. 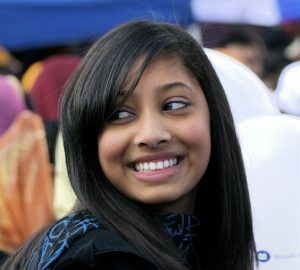 Intrinsic stains can’t be helped by whitening toothpastes. To get that brighter smile, you’ll need to actually change the color of your teeth. You can do this using a bleaching agent. 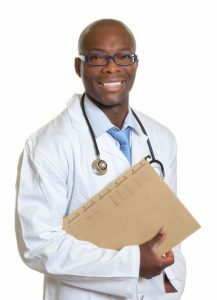 The bleaching agents most products use are hydrogen peroxide or carbamide peroxide. These chemicals break stains into smaller pieces, making their color less concentrated and leaving your teeth much whiter! At our practice, we offer professional whitening services that will get you the white smile you’ve been dreaming of. Whiten your teeth safely and effectively in the comfort of your own home with easy to use custom made trays and professional whitening solution that we provide for you at our office. And until June 30, 2017 all of the proceeds will go directly to benefiting children’s charities through the Smiles for Life foundation – so you can feel good about getting a whiter smile! We’d love to see you, whether that’s for a cleaning, checkup, or whitening treatment! Have any questions? Call us at 604-266-5313 and we would be happy to answer your questions. Thank you for reading our blog!